A trio of things that made me happy over the last couple of weeks. Nothing beats seeing friends achieving some of their goals and ambitions! I've mentioned both Shattered Planet and Life Goes on before on the blog, as I have friends working on both projects, and both reached major milestones recently. Shattered Planet is following up it's well received launch on mobile platforms with plans for a PC version, and the game got the greenlight on Steam this week! Going one step further, Life Goes On launched on Steam and is available right now. It's an awesome little puzzle platformer with a bunch of character. Any game that describes itself as 'a comically-morbid platformer where you brutally sacrifice knights and use their dead bodies to solve puzzles. With death as your only means to progress, journey through trap-ridden worlds to find the Cup of Life.' is worth a try in my books! Lastly, and by no means least, another of the members of my old Montreal writers group got published! Martine Svanevik, and her short story, Harsh Beauty, appears in the new Black Apples anthology. 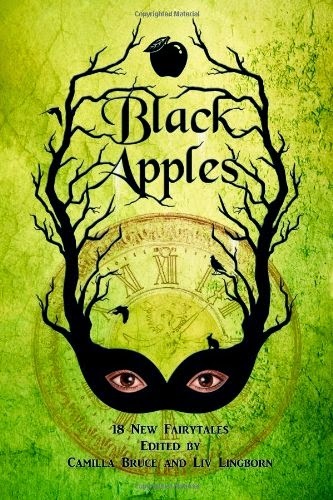 If you fancy some fairytales of the dark and delicious variety it's well worth checking out! It really is awesome to see another member of the group get their name into print! Nothing better than seeing friends be successful!